CANBERRA - Hiroshima was the first city in the world to be attacked by an atomic bomb on Aug. 6, 1945. 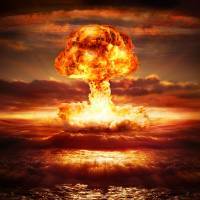 The last time that an atomic weapon was used was to bomb Nagasaki on Aug. 9, 1945. By the end of that fateful year, an estimated 214,000 people had died from the two bombs. Ever since, a dedicated group of people all around the world have devoted themselves to ensuring that Nagasaki does indeed remain the last place where atomic and nuclear weapons were used. According to estimates by the Stockholm International Peace Research Institute, there are 14,465 nuclear bombs held in the military arsenals of nine countries: China (280), France (300), India (130-140), Israel (80), North Korea (10-20), Pakistan (140-150), Russia (6,850), U.K. (215), and U.S. (6,450). Considering these numbers, this mission is a huge challenge. In a survey conducted by Kyodo News and published in these pages on July 28, 81 percent of hibakusha — survivors of the Hiroshima and Nagasaki atomic bombings — urged Japan’s government to sign the historic nuclear weapon prohibition treaty (NWPT) adopted by 122 countries at the U.N. General Assembly on July 7, 2017. It is worth noting that the treaty explicitly acknowledges the suffering caused to the hibakusha: “Mindful of the unacceptable suffering of and harm caused to the victims of the use of nuclear weapons (hibakusha),” says its preamble. Under 5 percent of the hibakusha did not welcome the NWPT. Because none of the nine nuclear-armed states has signed and all have opposed the treaty, Japan believes its goal of nuclear abolition to be unrealistic and has joined all other U.S. allies in dismissing it. The ban treaty was adopted because the majority of the international community, including two-thirds of the Nuclear Non-Proliferation Treaty (NPT) states parties, believe that nuclear threats and risks have risen to alarming levels. The nuclear-armed states have been deeply irresponsible in not cutting back their nuclear arsenals, moderating their nuclear doctrines and deployments, and in other ways taking practical steps toward nuclear disarmament. In rejecting the ban treaty, Japan and Australia are effectively rewarding this rogue behavior. Into this already unsettled, unstable and dangerous mix has been added the volatile, erratic and strategically challenged U.S. President Donald Trump. His political base remains untroubled by his policy flip-flops and incendiary threats of nuclear attacks against Pyongyang (last year), Iran (this year) and perhaps, in the future, Russia (next year?). A majority of Americans — 60 percent in an opinion poll published in The Washington Post on Jan. 23 — do not trust Trump to handle his nuclear command authority with due responsibility, and are concerned that he may launch a nuclear attack without justification. Similarly among Canadians — the geographically closest U.S. ally — while 88 percent have faith in the security benefits of NATO, the U.S. is rated the second biggest threat at 16 percent (terrorism tops with 29 percent). Remarkably, more Canadians (5 percent) believe Trump is a bigger threat than Russia (4 percent). This presents a double dilemma for America’s allies. On the one hand, the mercurial Trump may provoke a nuclear war that destroys the world. On the other hand, a transactional president constantly berating his European and Pacific allies about not carrying enough of the budgetary and military burden for their own security may refuse to come to their defense if they should be under attack from a nuclear-armed enemy in their neighborhood. The double dilemma in turn translates into contradictory policy implications. In response to concerns about the unreliability of the U.S. nuclear umbrella under Trump, some allies have begun to think the unthinkable about independent nuclear defense capability. In Australia several defense analysts have begun to wonder about the circumstances in which the country might want to acquire its own nuclear deterrent as a hedge against an increasingly adverse strategic environment in the Indo-Pacific. Europe began exploring its own deterrent last year in reaction to Trump’s unreliability. A review commissioned by the Bundestag concluded that Germany could legally finance British or French nuclear weapon programs in return for their protection. They were not the decisive factor in Japan’s surrender in 1945, nor in the territorial expansion of the former Soviet Union across central and eastern Europe during the 1945-1949 years when the U.S. held a monopoly on the bomb. They did not stop Argentina from invading the Falkland Islands in the 1980s nor the Vietnamese and Afghans from fighting and defeating the U.S. and the Soviet Union respectively. We know of no successful case of nuclear blackmail. Conversely, each new entrant into the nuclear club will generate fresh pressures to further proliferation and the cascading numbers of nuclear-armed states would multiply nuclear risks and threats exponentially. 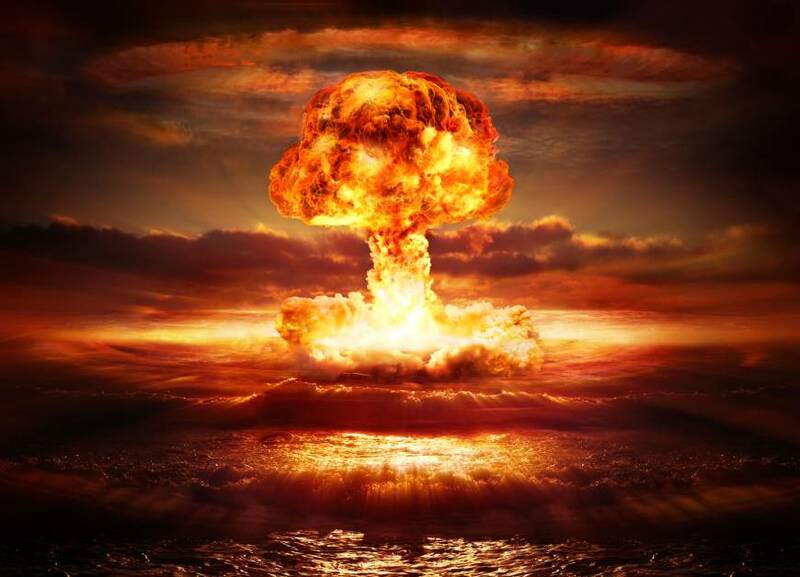 Moreover, Japan’s quest for an independent bomb would violate its legally binding NPT obligations, its own nuclear policy and laws, and also send tremors through the Asia-Pacific region based on historical memories of Japanese aggression. In the case of NATO allies and Australia, it is hard to see how existing security practices could be compatible with the stringent demands of the NWPT. But nothing about Japan’s publicly known security practices indicates a fundamental incompatibility with the ban treaty such as to prevent Japan from signing it. Of course, this would put Japan on the wrong side of the U.S. and allies. But, as I argued in the inaugural issue of the Journal for Peace and Nuclear Disarmament published by Nagasaki University’s Research Center for Nuclear Weapons Abolition, signing the ban treaty would put Japan on the right side of history, geography, legality, morality and humanity.